Born James Walter McGirt on January 17, 1964 in Brentwood, Long Island, NY. Under the tutelage of Al Certo, “Buddy” turned pro in 1982 as an 18-year old high school senior. In 1985 he won the WBC Continentals Americas light welterweight title from Sugar Boy Nando (TKO 5). 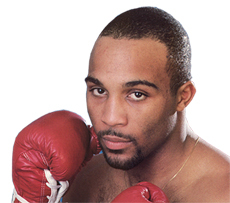 McGirt won the vacant IBF junior welterweight title in 1988 with a 12th round TKO over Frankie Warren in Texas. After a successful defense over gold medalist Howard Davis Jr. (KO 1), he lost the belt to Meldrick Taylor (TKO by 12) but rebounded for wins over Edwin Curet (W 10) and Gary Jacobs (W 10) among others before defeating Simon Brown (W 12) for the WBC welterweight strap in 1991. Four wins followed, including 12-round wins over Patrizio Olivia and Genaro Leon in title defenses before losing the belt to Pernell Whitaker in 1993 (L 12). McGirt got back to his winning way with victories over Nick Rupa (W 10), Livingstone Bramble (W 12) and Kevin Pompey (W 10) before meeting Whitaker in a 1994 rematch (L 12). The consummate boxer-puncher, McGirt continued to box until retiring in 1997 with a record of 73-6-1 (48 KOs). Since hanging up the gloves, McGirt has become one of boxing’s most respected coaches, earning 2002 “Trainer of the Year” honors by the BWAA. Among the champions he guided include Antonio Tarver, Nate Campbell, Vernon Forrest, Paulie Malignaggi and Hall of Famer Arturo “Thunder” Gatti.